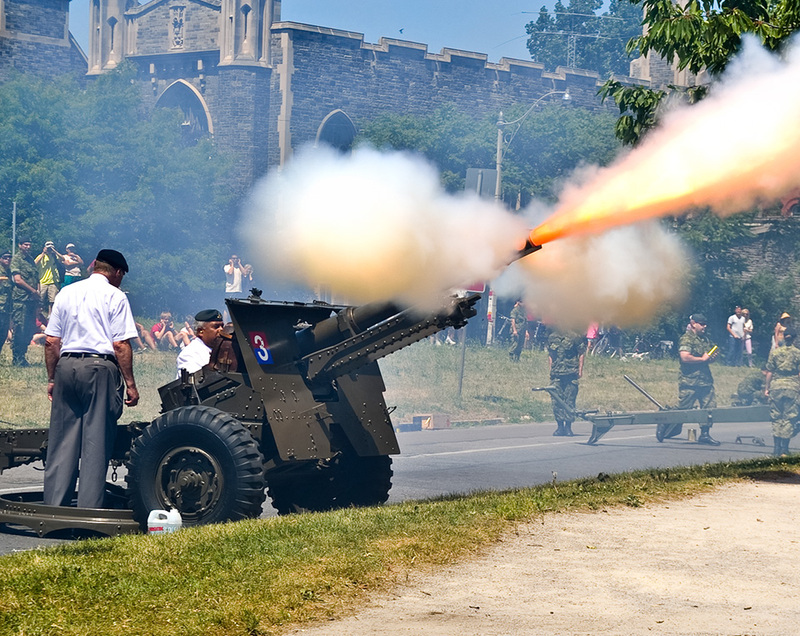 The 7th Toronto Regiment, Royal Canadian Artillery is a primary reserve unit of the Canadian Army. 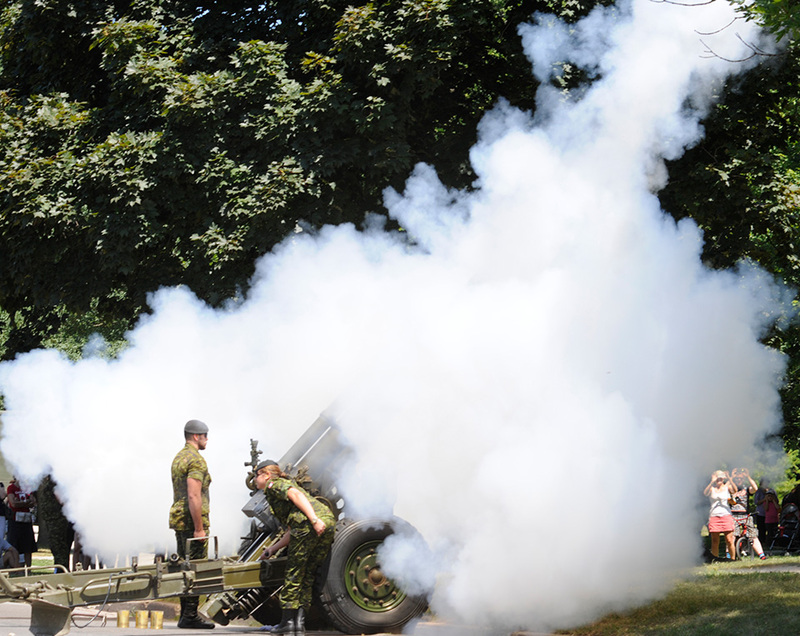 The Regiment is headquartered at Moss Park Armoury in Toronto and boasts a strength of just under 200 part-time soldiers organized into three batteries: 130 Battery, as a headquarters and training battery, 9 Battery, as a gun battery, and 15 Battery as a mortar battery. 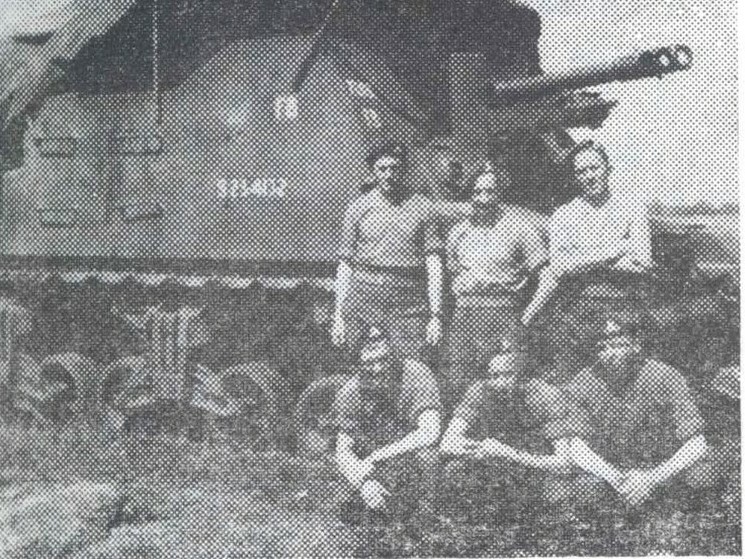 The artillery's weapons systems include: the C3 Howitzer, firing a 105mm projectile and capable of engaging targets over 12 kilometres away with a damage radius of 50 metres; and the 81mm mortars, capable of dismounted operation and firing a high-trajectory projectile to engage targets up to 4 kilometres away. Below and throughout our website, you will find information regarding both the 7th Toronto Regiment and the broader Regimental Family of organizations and individuals. See the 7th Toronto Regiment, RCA in public venues across the GTA and check here for special notices. Learn about our Command Team and Honouraries. Contact us for all enquiries regarding the 7th Toronto Regiment, RCA.